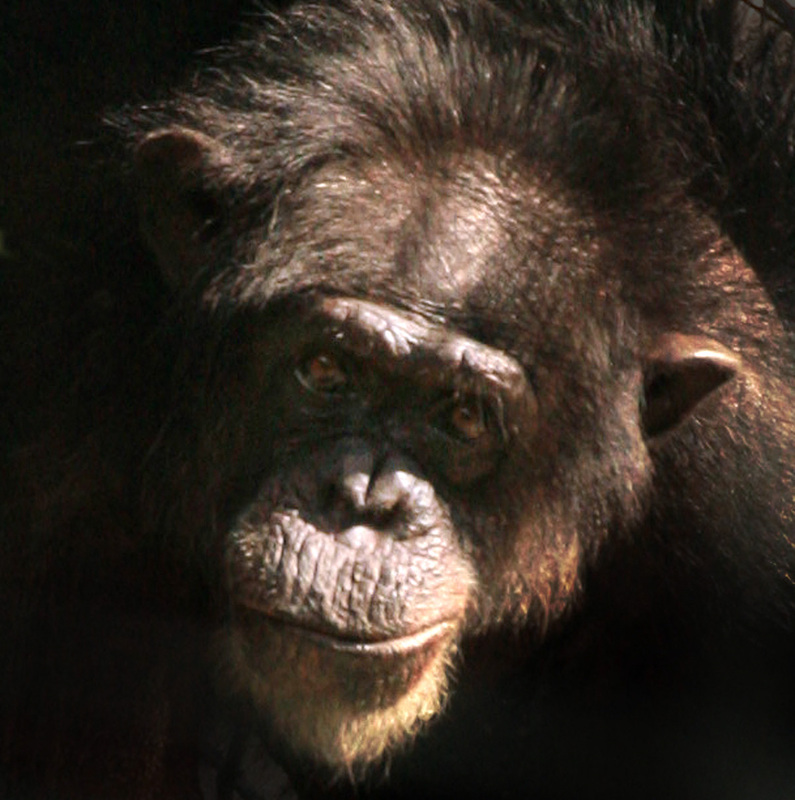 Mourning the loss, but celebrating the life, of our oldest resident, 57-year-old chimp Bon Bon | Dallas ZooHoo! Our beloved Bon Bon in 1996. With heavy hearts, we’re deeply saddened to share news of the loss of our oldest resident, 57-year-old chimpanzee Bon Bon, who passed away this past Sunday. 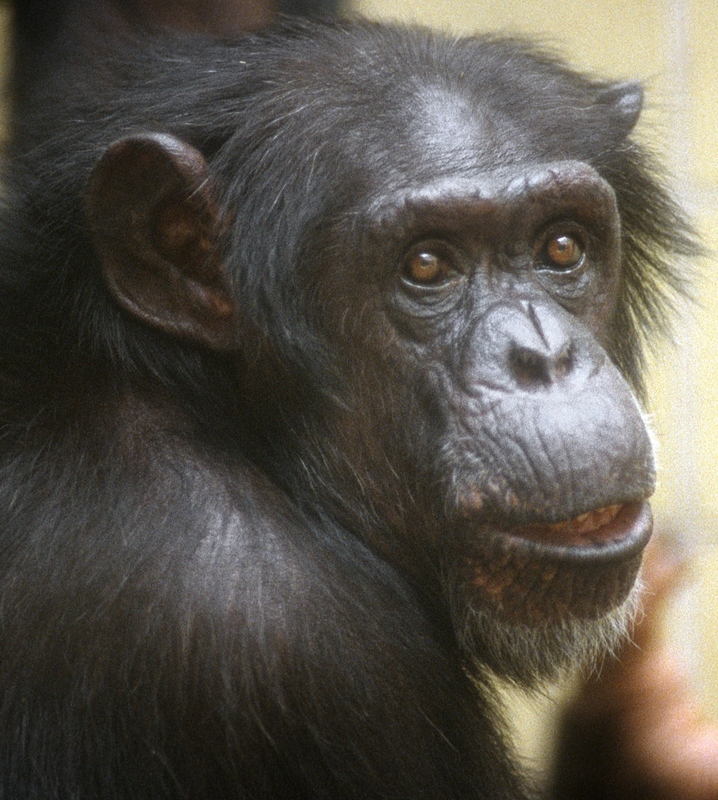 The matriarch of our chimp troop, she vivaciously lived to be the oldest zoo-born chimp. In recent weeks, Bon Bon’s health had begun to decline rapidly in her advanced age. With very little eyesight and mobility, our animal care team knew it was time to say goodbye. The remaining eight members of the troop respectfully said goodbye to Bon Bon with hand touches and soft vocalizations. “This allowed them to see that their matriarch isn’t there anymore. It gave them a sense of closure, and now they can determine the new hierarchy from here,” Zdrojewski explained. After their goodbyes, the troop walked away and allowed Bon Bon’s 30-year-old daughter, Koko, to have some alone time with her mother. “The troop let her have that time. It was very unique. Afterward, chimp Ramona embraced Koko in a hug. It was a very special moment,” Villarreal said. Bon Bon in recent years. Born at the Dallas Zoo in 1958, Bon Bon was one of the first chimps to open the Primate Building in 1961 and again, our state-of-the-art Kimberly-Clark Chimpanzee Forest in 1997. With four babies of her own, Bon Bon was known to be very affectionate towards all youngsters in the troop. Keeper Debbie Reid, who cared for Bon Bon for nearly 20 years, says her playful nature never ended. And within the last few weeks, she still had these spirited moments with her adult daughter Koko. We’ll miss you, Bon Bon. Thank you for touching our lives for so many years. What an absolutely beautiful piece on Bon Bon! I just cried. Seems she was loved and gave love until the very end. Thank you for sharing this story. Know there are tears for one who gave so much love and was so loved by all who cared for her. Beautiful tribute for a life well lived…dear Bon Bon will be greatly missed!!! My deepest and most heartfelt sympathy over your zoo family’s loss. All animals, by their loving goodness, touch our lives and their loss leaves us with an emptiness. With us. Much love to the remaining chimps and the staff who provided such wonderful care for her❤️. Salute to You Bon Bon.You stole our hearts, made us laugh, and filled us with joy. I am so glad to have known you for almost 18 years. I would always look for you when I photographed your family. When we visited you, we always left with a smile. There are some heavy hearts walking around the zoo this week. You were family to us all and will always be loved for all those wonderful memories you have forever given us. I lived in Oak Cliff when BonBon was born and I was 6 years old at the time.My father took me to meet Pierre Fontaine(zoo”Director” at the time?? )and as we sat in his small office,Pierre brought in BonBon, who was VERY young and wearing a diaper.He told me to sit very still, which I did, and eventually the baby chimp overcame her shyness and came over to me and played with my hair, the buttons on my shirt, and was just fascinated by a small shiny medallion I had around my neck. WHAT A THRILL !!! We looked eye to eye several times…WOW !!! I never forgot my 20 minute encounter, and to top off the visit as I left that day, we walked outside and a MIGHTY ROAR came from the “big cat area”, and I was told it was JACK the lion, doing his daily roars that literally shook the area all around !!! WOW AGAIN !!! What an experience, never to be forgotten. My wife and I are VERY much animal lovers to this day. Rest In Peace, BonBon….you brought happiness and good memories to many folks. I have seen Bon Bon many times over the years! Sorry to hear the news but so thankful that she had such a long life and was cared for so lovingly! !